Finwë Slain (4995 F.A.) - Manwë held a great festival in an attempt to heal the rift between the Valar and the Noldor (this was the same festival at which Melkor and Ungoliant destroyed the two Trees). Fëanor attended, but Finwë remained exiled in Formenos. After the Trees perished, Valinor was plunged into darkness. Melkor was not yet finished with his plan. With the world dark, he could travel freely without fear of being caught. So he went north to Formenos to obtain that which he coveted most. 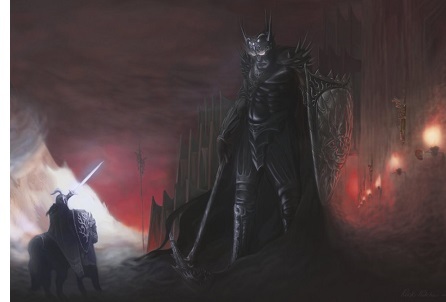 Now Morgoth had the Silmarils, so he fled Aman altogether and returned to his fortress at Angband.